Holyrood should be given almost full control over income tax, according to a report commissioned for the Scottish Conservatives. The recommendation is among a raft of proposals put forward to devolve further powers north should voters reject independence in September’s referendum. 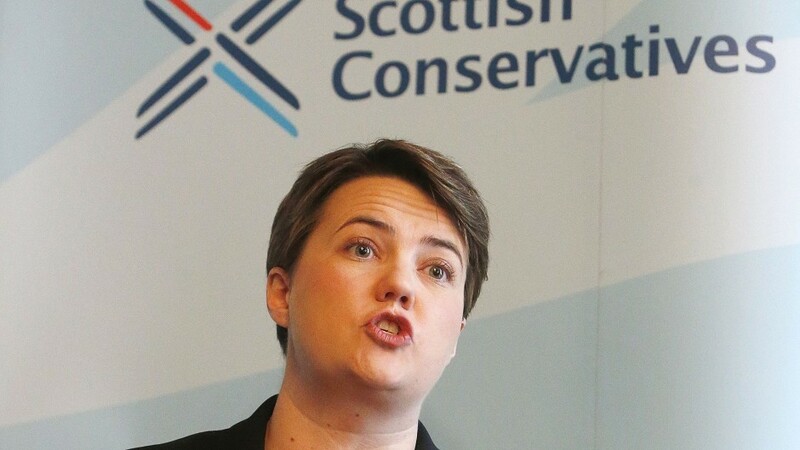 The Strathclyde Commission – set up by party leader Ruth Davidson last year – believes the Scottish Parliament must be more accountable for the money it spends. “The Strathclyde Commission puts forward a radical plan to give Holyrood full powers to raise all its own income tax,” Ms Davidson said. “It also sets out a number of other fiscal and welfare measures to suit Scotland’s particular needs and strengthen its position within the UK. “After 15 years of devolution, it is now time for a mature parliament that is more accountable for the cash it spends. “This is not some kind of consolation prize for the SNP if Scotland rejects their separatist agenda. In what the commission describes as a “huge step” in the development of parliamentary powers, MSPs would be responsible for setting income tax bands and rates. Personal allowances – the threshold at which income becomes taxable – would be set by UK ministers. Income tax in investments, dividends and savings would also remain a matter for UK ministers in order to “safeguard the integrity of the UK’s single market in financial services”. Ms Davidson said: “I have spoken directly to the Prime Minister and the Chancellor of the Exchequer and there is political will for this to happen. Pensions, which make up the lion’s share of the welfare budget, would remain the responsibility of Westminster. The commission said there was a case for building greater flexibility into the way the Scottish Parliament deals with social security by devolving housing and attendance benefit. It also found there is a case for a share of Scottish VAT receipts being assigned to the Scottish Parliament. Air Passenger Duty should also be devolved, but not corporation tax, capital gains tax, inheritance tax or national insurance. Lord Strathclyde said: “If Scotland votes No in the forthcoming referendum we believe that the UK and the countries that make it up need to be at ease with themselves.